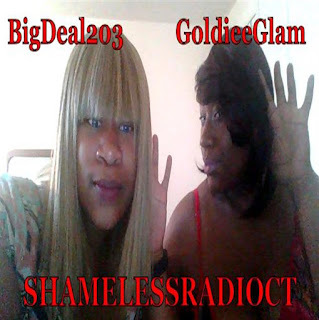 ShamelessRadioCT would like to send a big 'Thank You' to each and every artist that has submitted tracks. We will continue to play these tracks throughout our lifespan and continue to give you free publicity and feedback, along with our viewers. Please note that if anyone contacts us to inquire about you, we will forward your email address to them so that they may reach out but we do not work on behalf of artists. Please continue to submit music, as new tracks are always encouraged, and you will have a chance to have your track(s) played on AIR "LIVE' on Saturdays! Please make sure to follow us on Facebook, Youtube and Instagram - all links are below - and continue to support. As we are now at 476 followers on Facebook and continue to gain every week, we want to thank everyone that has submitted, whether it was once or every week! Every submission is appreciated and don't forget to subscribe to the website for goodies. - Also, please share this email address w. an friends that do music and tell them to submit so that they will have a chance to be on the podcast as well, let's give all upcoming and underground musicians an outlet for everyone to hear their talent! - Shamelessradioct@gmail.com. I liked some of the music as well and I like how they have this set up. I'm now following them.